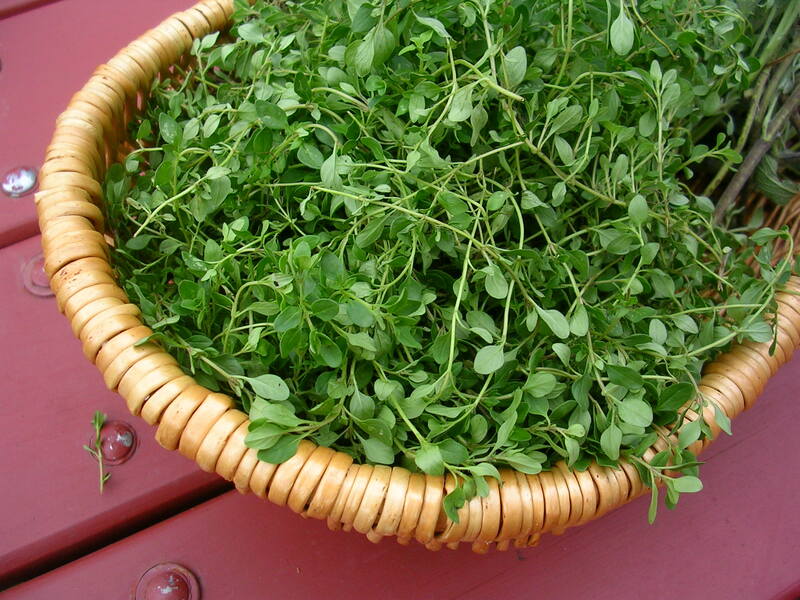 After years of meager woodsy thyme plants, this summer a thyme plant from last year popped up again and supplied me with the largest amount of thyme I had since I started gardening. Now I finally have enough thyme from my garden to make my own herbes de Provence, a mix of dried herbs. I only use herbs I have in the garden but in addition to the herbs listed below, the mix can also contain equal amounts of fennel seeds, marjoram, oregano, and a small amount of crushed dried lavender blossoms. Herbes de Provence are wonderful with roasted meat, chicken, oven-roasted vegetables or potatoes, and even in tomato sauce for pasta. Mix the herbs and store in a tin can or a glass jar away from the light. 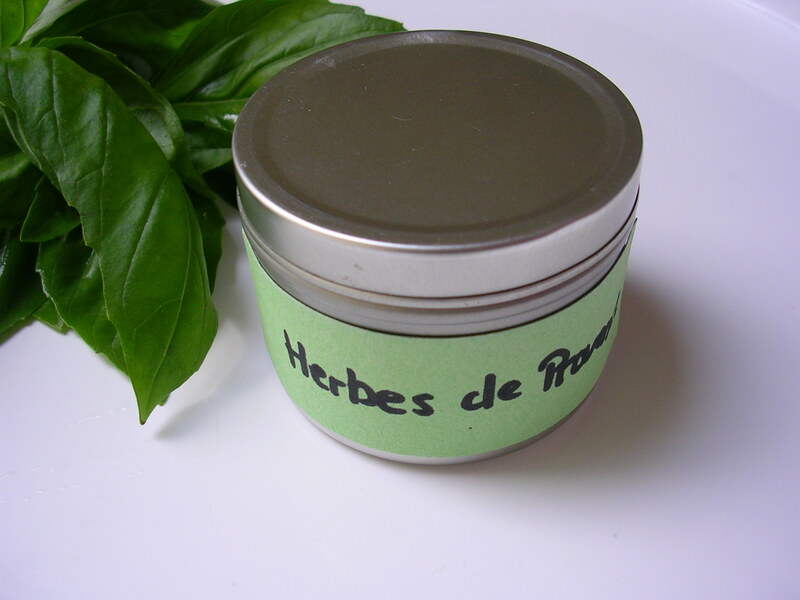 Herbes de Provence are best used within a few months; as all dried herbs, they loose their flavor over time.